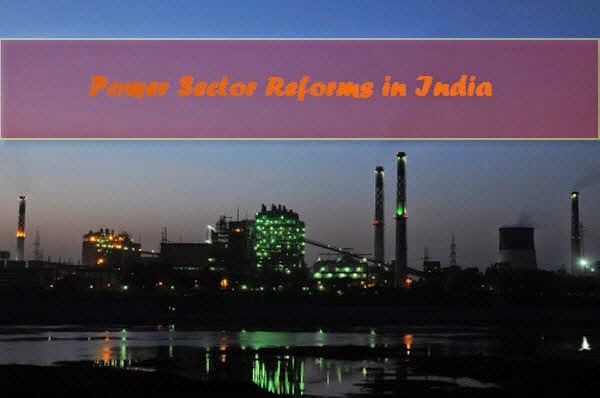 This is a report on "power sector reforms in India" for electrical students. This paper analyses the pre-reform era and identifies the key concerns which led to the initiation of the reforms. It also analyses the likely impact of the major policy and regulatory initiatives that have been undertaken since 1991 including the provisions of the new enactments which have come into force eventually in the form of The Electricity Act, 2003. You can also Subscribe to FINAL YEAR PROJECT'S by Email for more such projects and seminar. Until the Eighties, electricity services in most developing countries of the globe, as additionally in several developed countries of Europe, were delivered by state-owned monopolies. It had been thought of that monopolies were best suited to deliver electricity services, as they enjoyed economies of scale and scope. In Asian country additionally reflective an equivalent sentiment, until 1991, the arena within the states was managed by one massive, vertically integrated entity that generated, transmitted and distributed power, below the individual State Ministries of Power. This seminar details out some the key and important features of the Act and its likely impact on the Indian electricity industry in the emerging scenario. The paper also discusses major issues like role of Regulator in the new regime, issue of open access, power trading, introduction of power markets and role of Appellate Tribunal for Electricity in harmonizing the orders of the various regulators. Use it for your reference and study work. Thanks to the author of the project.